As we age, our bodies change. Physical activity levels, diet, genetics and environment all affect the way our bodies go through the aging process. If you want to combat the aging process and keep your body as healthy as possible, including your bone, joint and muscle health, education is your best defense. Only with the proper information can you then take steps to maintain your health and live a full, vibrant life. There are numerous causes of muscle loss over time. The rate of muscle loss is highly influenced by our genetics. Other factors include hormones, diet, exercise and environment. As we age, lipofuscin, an age-related pigment, and fat cells are deposited into muscle tissues throughout the body. This causes the muscle fibers to shrink. If one’s diet is low in protein and if one is less active, muscle tissue is replaced more slowly. Instead of rebuilding lost muscle, muscle tissues are replaced with tough fibrous tissue which causes limbs and digits to appear thin and bony. The tough fibrous tissues within the muscle also causes muscles to have a decreased ability to contract, resulting in rigidity and diminished strength. Physical activity is the key to maintaining strong, limber muscles. 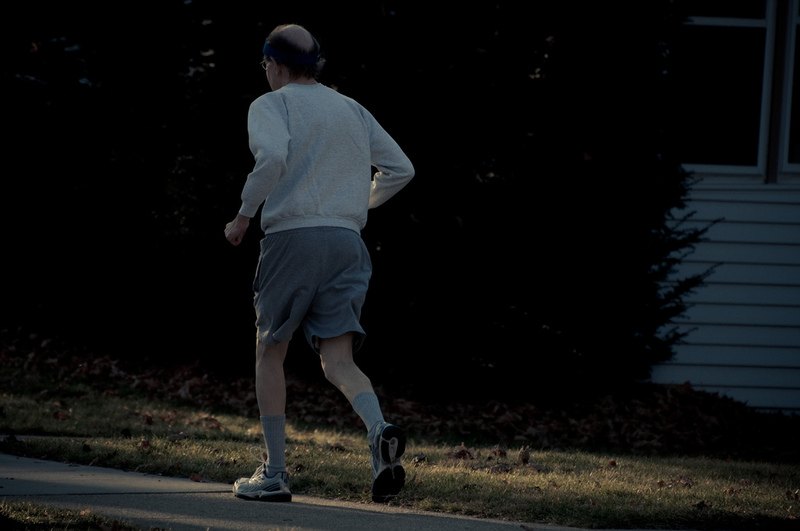 It is never too late to incorporate exercise into your lifestyle. Exercise can not only prevent muscle loss, but can actually reverse the process and help your body to recreate healthy muscle tissue. Speak to a fitness professional or your physician to see if you are healthy enough for certain types of physical activity. Strength training and activities involving resistance – such as swimming, working with resistance bands, etc. – help to strengthen and replenish muscles with healthy, active tissues. Bones gradually lose mass and density over time. Women are especially susceptible to weakening in the bones after menopause. Over time, our bones lose calcium and other essential minerals. The effects of bone density loss can be seen in a shortening of the torso as the spine compresses, the arches in the feet become less pronounced which contributes to a loss of height, and the limb bones become more vulnerable to fractures or breaks. The best way to maintain strong, healthy bones is with a well-balanced diet. A healthy diet should include adequate amounts of calcium. Postmenopausal women and men over the age of 65 are recommended to ingest 1,200 mg of calcium per day. Another vitamin crucial for bone health is vitamin D. Doctors recommend 400-800 international units of vitamin D per day. Speak with your physician about your diet to find out if you are getting enough calcium and vitamin D from your diet or if you should add a vitamin supplement to your daily regimen. Time affects our joints as well. Joints become stiffer and less flexible, which may limit mobility or cause discomfort. Fluid within the joints may also diminish over time, causing the cartilage within the joints to rub together. The joints most commonly affected by the aging process are the shoulder, hip and knees. Our joints are supported by the surrounding muscles. By exercising your muscles with strength and resistance training, you can provide better support for your joints. Balance exercises such as yoga, pilates, and working with a balance ball can help build stability for healthier joints. Another way to improve joint mobility is by stretching regularly. By keeping your body in motion, you will improve your mobility, decrease pain and discomfort, and improve your overall quality of life. Start taking care of your bone, joint and muscle health. Be sure to speak with a physician before starting any exercise regimen.